The Rabbi with a Blog (Rabbi Jason Miller): Yom HaShoah: From "The Camps" to "Camp"
Yom HaShoah: From "The Camps" to "Camp"
On an early morning this past June, I stood in a synagogue parking lot taking temperatures of the Jewish children before they boarded the buses to take them off to summer camp. Along with every other staff member in the parking lot, I was wearing a brown shirt -- the official staff shirt of the summer. It isn't common practice to take each camper's temperature before they board the bus, but in 2009's summer of Swine Flu it was a necessary precaution. If a camper had a fever, they were not allowed on the bus until they saw a doctor who could provide them with a clean bill of health. When I arrived at camp later that morning, I was approached by one of the camp doctors. He told me that as a child of Holocaust survivors, he was appalled at the color of the staff shirts. He explained how he thought his mother (a survivor) would perceive of having people in "brown shirts" telling the Jewish children to board the buses to go to the camp only after checking to see who was healthy enough to go to the camp and who would be turned away. For this child of Holocaust survivors, the Holocaust imagery was front and center. I immediately framed it in a different light for him. How amazing is it that some six decades after the Holocaust when Jewish children are sent to camp, it is to experience the time of their lives engaged in fun programs and Jewish activities, I asked him. Contrast that to what their great-grandparents' generation experienced in Eastern Europe. Yom HaShoah, Holocaust Remembrance Day, has just passed. 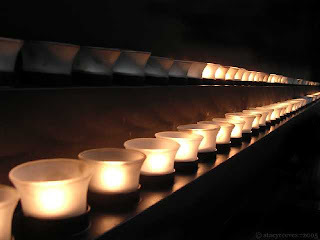 In the last two days I found myself immersed in the commemoration of the Holocaust. Sunday began with a speech by a Holocaust survivor, Aron Zoldan, and then later in the afternoon at the Jewish Community Center I opened the "Unto Every Person There is a Name" project by reciting the special Mourner's Kaddish that incorporates the names of the camps into the kaddish prayer. That night, my wife and I viewed the new Anne Frank film on PBS. Last night, I facilitated a brief Holocaust commemoration and candle-lighting for Jewish teens, in which two rabbis -- one the son of survivors and the other the grandson of survivors -- recited the Mourner's Kaddish. On Sunday, as I read the names of dozens of young Jewish people from Czechoslovakia and France who perished in the Holocaust, my attention shifted to this generation's Jewish youth. Think about the many opportunities Jewish youth have today. Watching the Anne Frank film, I again directed my thoughts to how free Jewish teenagers are today. Anne and her sister Margot lost the freedom of their teenage years while hiding in the annex. Today, Jewish teens fly to Poland on the "March of the Living" program and march into the death camps. The difference, of course, is that after seeing the burial grounds of millions of people these teens then march out of the camps. The teens then travel to Israel to experience the modern Jewish homeland, a nation many argue was built on the ashes of the Nazi Holocaust. In much the same way that camp doctor was troubled by the Holocaust connection of "brown shirts" determining which Jewish children were healthy enough to be sent to camp, an Israeli man was surprised to see the Hebrew term "machanot" used as a translation of summer camps. Last summer, an Israeli counselor at my Jewish summer camp posted a photo on Facebook of a sign hanging in our dining hall that included the Hebrew word "machanot," meaning camps. A fellow Israeli commented on her photo that he was troubled by the term since it refers to the camps during the Holocaust. For so many, the Holocaust imagery and terminology cannot be escaped. The human tragedy of the Holocaust is so much a part of Jewish identity, both person and communal, that nary a day goes by that Jewish people do not consider the six million murdered by the Nazis. The fact that "the camps" means something so starkly different than "camp" is powerful. An 80-year-old Jewish man might ask a contemporary, "Which camp did you go to?" And that question means something so different than when a 30-year-old Jewish man asks his contemporary, "Which camp did you go to?" Walking down the main road of my camp, it is difficult to miss the beautiful Irv Berg sculptures that honor those who were murdered by the Nazis. And on the summer fast day of Tisha B’Av, we remember the victims of the Holocaust in words and art and music. The hundreds of smiles seen each summer day on the faces of the Jewish children at camp is a wonderful tribute to the millions of our people who perished in the Holocaust. The Jewish people have indeed endured and thrived in the decades since World War II. Thankfully, our generation's "camp" is 180 degrees from what "camp" meant to a previous generation. May the memories of those who lost their lives in the Holocaust be an enduring blessing and a constant encouragement that humanity never again allows such a tragedy to occur. A very touching one and it seems this would be a great thing to remember.I am looking forward to another great article from you. Thanks for sharing and i really love this post.